Have questions? We have answers! Our peer advisors have been picked from students who have studied abroad for a semester, a summer, or on a short-term program and who have had experiences that they want to share with you! Our peer advisors are here to help you with the study abroad application process and site and answer any other study abroad related questions that you may have. Studying abroad in Cheltenham, England in the Spring 2015 semester was one of the most memorable experiences for me and I don't go a day without missing it. I recommend it to everyone. It helped me realize that the world was so much bigger than the United States. It's one thing reading about the world, but it's another thing entirely to experience it first-hand. When I traveled, I learned so many things about the history and culture surrounding England. In my program, I was able to go on excursions to different places like Stonehenge and Oxford. 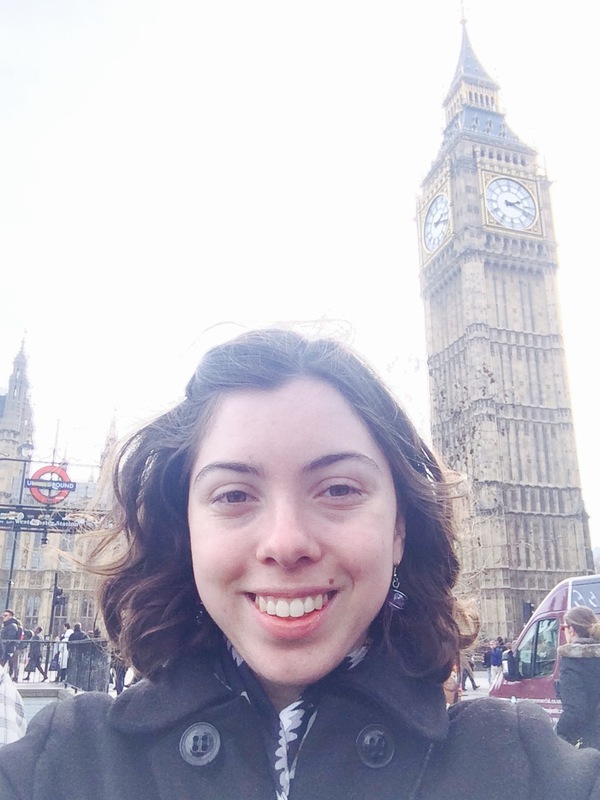 I did some traveling on my own to places like London and the Cotswolds, as well as excursions through the University of Gloucestershire, I made time to have my own adventures (and misadventures too!) in different countries. A day trip to Paris turned into an overnight stay when I missed the English Channel train (Chunnel) back to England! And when I traveled to Prague to visit friends, I got lost in the city. But even though I was lost, I had lots of fun exploring. Being abroad taught me a lot about being on my own. I lived in a flat with American and British students. I was given a food stipend, meaning that I cooked all of my meals. Plus, I became a pro at using public transport. Cheltenham became my home. In fact, it became so much like home that, when people came from out of town for the Cheltenham Horse Race in March, I was able to give them directions to their hotels. I knew at that point that I had truly become one of the locals. No matter where I traveled, it was always comforting to return to the town.